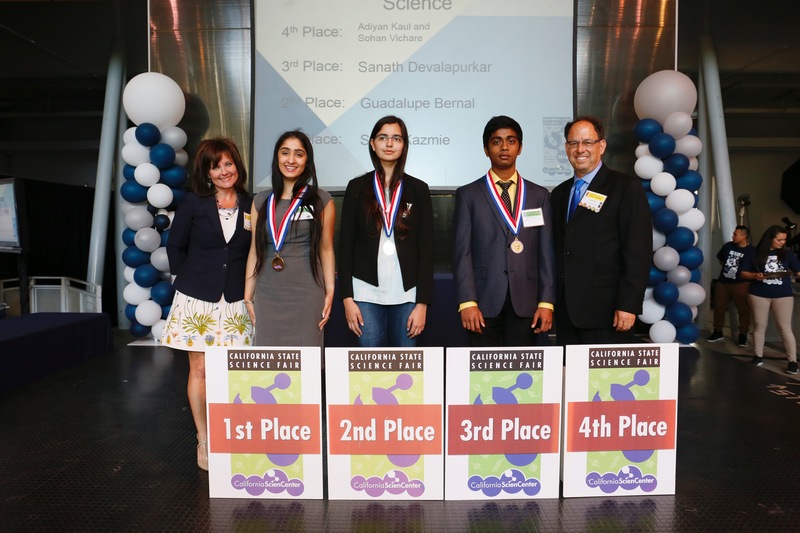 From left to right are: Sarah H. Kazmie (First Place), Guadalupe Bernal (Second Place), and Sanath K. Devalapurkar (Third Place). Flanking the award winners are the co-chairs of the 2016 Fair, Liz Snyder (left) and Hal Snyder (right). 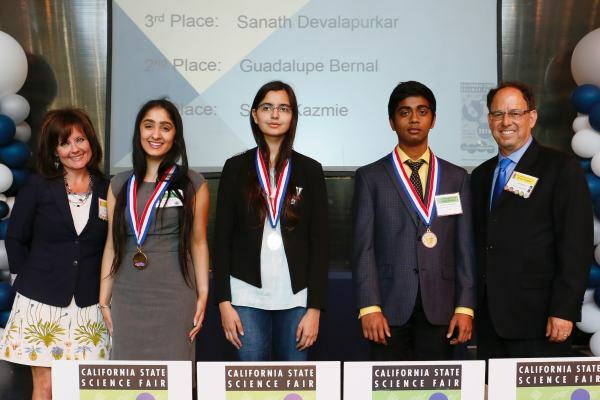 Apparently not present at the Awards Ceremony was: the team of Adihan Kaul and Sohan M. Vichare (Fourth Place).